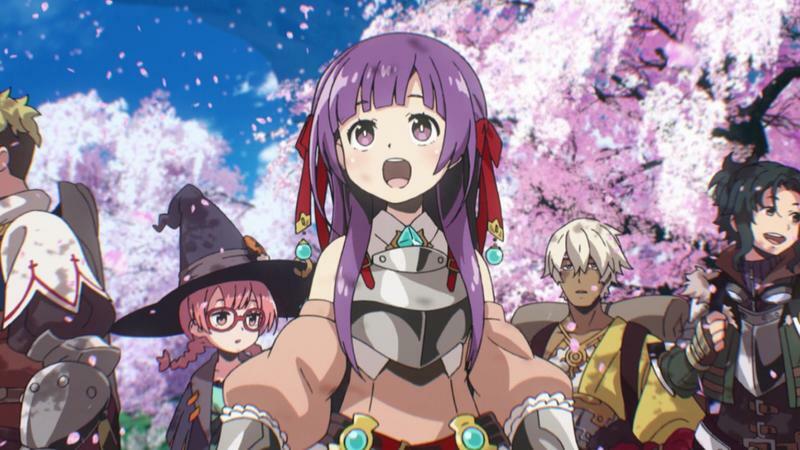 Etrian Odyssey Untold II Opening Animation - That's What I'm Talking About! Earlier this week, I went on a nice rant about video game opening sequences. Back in the days of the PlayStation, developers would dedicate a solid minute or two to a montage of footage, cutscenes, and music, and these reveled in extravagance to greet you and get you excited to play every time the game was turned on. I lamented on how this practice has been mostly lost in recent years, but I also admitted if you look hard enough, there are still plenty of them found mostly from Japanese games on handhelds. Take this little gem for example from the latest game in one of my favorite current series, Etrian Odyssey Untold II, because it has everything that I am talking about. It starts off slow so you can get to know just enough about each of the characters with some real glamour shots to show off the game's art style. The song is also nice and fits the mood, and at just the right moment, this sequence picks he pace up when the team starts getting down an gritty with the action. When I play the Untold games, remakes of the originals with set characters and more expansive plotlines, I prefer the "Classic Mode" which lets you create your own troops and is more bout the RPG mechanics. However, thanks to this video, I feel like I'd really like to get these protagonists. All because it doesn't oversell and gives you just enough to be curious. I wouldn't call it a masterpiece like Wild ARMs, but it shows that animators in Japan still know what they are doing with video game intros. The art style is a little cutesy, there aren't quite enough *bang* moments, and it's cliche in the fact that I knew exactly where the tonal shift was going to take place. We can call it "PlayStation Intro LIGHT," but I'm just happy to see that something like this can still exist. Good ol' Atlus, always there when I need them. Etrian Odyssey Untold 2: The Knight of Fafnir has been confirmed for an American release on the Nintendo 3DS, but no date has been set. It launches on Nov. 27 in Japan. If you haven't played any of the games in the series, both Etrian Odyssey IV and Etrian Odyssey Untold: The Millenium Girl are great places to start. You can probably find them on sale through the Nintendo 3DS eShop sometime this holiday season. Atlus loves discounting its games.